You agree to be fully responsible for any claims, expenses, liabilities, losses, costs including legal fees incurred by us arising from any infringement of the terms and conditions set out in this agreement. Vietnamvisa-easy.com reserves the right to change any part of this agreement without notice and your use of the Website will be deemed as acceptance of this agreement. We advise users to regularly check the Terms and Conditions of this agreement. We have complete discretion to modify or remove any parts of this site without warning or liability arising from such actions. Vietnam Immigration Department runs No-refund policy on all Vietnam visa applications as they charge for work done and not per granted visa,. It is therefore important that should you wish to cancel your visa application with Vietnamvisa-easy.com that you contact us immediately to prevent any unnecessary cost being incurred. Once your visa application status is put under "Processing" or an Approval letter has been issued by the Immigration Department we are unable to reimburse you the fee. It is imperative that you supply us with required information that is correct for the time of your intended departure. Vietnamvisa-easy.com cannot be held responsible for any visa granted incorrectly or refused entry due to incorrect visa information and any losses incurred. Though every effort will be made on our part to correct any visa issues prior to departure, no refund will be given by us in the event of false or incorrect information being supplied at the time of submission. We strongly recommend that you check your visa confirmation letter against your passport and personal information prior to departure. Whilst we take all precautions to correctly process your visa application, mistakes occasinally occur. We suggest that you check the details you have filled and the details on the visa approval letter carefully. - If you find any errors on the visa approval letter, please inform us immediately at [email protected] or call us at +84 966.539.363. If we do not receive any notifications for error correction within 7 days from the time we send out the visa approval letter, we will not be responsible for any failed applications, declined entries or losses. Applicant is responsible for checking accurate information on approval letter. In case of mistakes, the applicant is required to contact us immediately for correction. Otherwise, the applicant is fully responsible for the mistakes. If the errors are made on our part, we will process the letter of approval for free. If the errors are on the applicants' part, the applicants must pay the full fee to obtain a new visa approval letter. The process of getting a new letter of approval, again, will take 2 working days, so it is recommended that applicants check the approval letter carefully before the trip. Working days: All week days except from Saturday and Sunday. Working hours: 8.00 AM to 17.00 PM every working day. Multiple entries means you are allowed to enter / exit Vietnam multiple times within a given period of time (1 or 3 month(s)). For example: 3 month multiple entry visa means - you are allowed to enter / exit Vietnam multiple times from the intended date of arrival provided plus 3 calendar consecutive months. You agree to pay all fees and charges for the service offered by Vietnamvisa-easy.com For the "service fee", you pay directly to Vietnamvisa-easy.com to get visa approval letter issued. For the "stamping fee" you pay to the Immigration officers at Vietnam airports in order to get the visa stamped onto your passport. 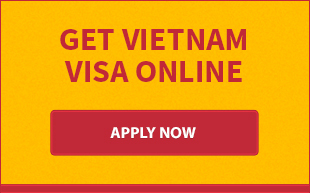 Normally, it takes 2 working days for normal service to get your visa application processed with Vietnamvisa-easy.com. Urgent cases take 4 to 8 working hours. Processing hours are counted only from when we receive both your full payment and all the correct details required by the Vietnam Immigration Department. In special cases, additional documents may be required and processing time may be longer than usual. In such cases, we will inform you by email. Our service provided is completed once the visa approval letter is sent to your submitted email address when applying. You are required to notify us if you do not receive the document in time. If you do not inform us that you have not received the letter within 7 days, we will assume there are no problems. We are not responsible for any delay/loss caused by the wrong email addresses supplied by applicants or when applicants do not notify us by email that the visa approval letter has not been received. We are not responsible for any loss, delay or cancellation of your flight ticket, tour or accommodation booking made for your trip to Vietnam should your visa application or entry be declined or in the case that we are unable to send it to you on time as promised. In this case, we will refund you the full amount paid to us. Normally, it takes 2 working days to process an approval letter, however, there are regrettably exceptions, delay due to unforeseen problems. We strongly recommend that you apply for a visa at least 1-2 weeks prior to the departure date to avoid any potential issues. Vietnam visa approval letters are usually issued in group and therefore, you may find your name, passport number and date of birth in the same letter as other people. A request for an individual approval letter should be sent to our email address: [email protected] . Vietnamvisa-easy.comis not to be held accountability for any issues arising from the group approval letter. 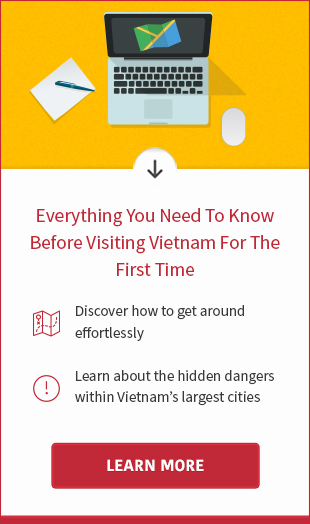 By using this site and our services you give Vietnamvisa-easy.com your express permission to contact you via email, or phone for all purposes including distribution of marketing and promotional materials.